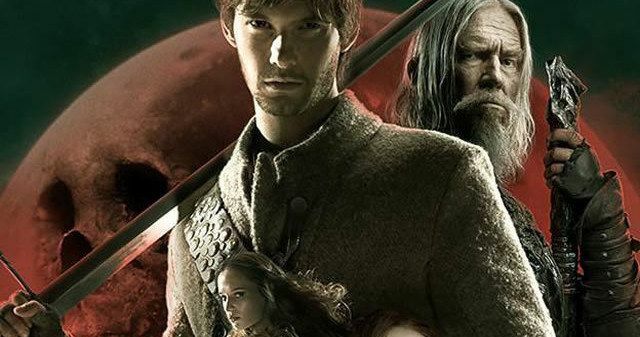 Nearly one year after Legendary Pictures took their fantasy adventure Seventh Son from Warner Bros. to their new home at Universal Pictures, the studio has finally released a brand new trailer. Jeff Bridges stars as a warrior who travels across the globe to find the last Seventh Son (Ben Barnes), whose incredible powers can defeat an evil queen (Julianne Moore). In addition, we also have a new poster for director Sergey Bodrov's fantasy adventure, co-starring Olivia Williams, Antje Traue, Alicia Vikander and Djimon Hounsou, arriving in theaters February 6, 2015. In a time of enchantments when legends and magic collide, the sole remaining warrior of a mystical order (Oscar winner Jeff Bridges) travels to find a prophesized hero born with incredible powers, the last Seventh Son (Ben Barnes). Torn from his quiet life as a farmhand, the unlikely young hero embarks on a daring adventure with his battle-hardened mentor to vanquish a dark queen (Julianne Moore) and the army of supernatural assassins she has dispatched against their kingdom. Sergey Bodrov directed Seventh Son from a screenplay by Charles Leavitt and Steven Knight and a screen story by Matt Greenberg, based on the book series "The Last Apprentice" by Joseph Delaney. The film is produced by Basil Iwanyk, Thomas Tull and Lionel Wigram. Jon Jashni, Brent O'Connor and Alysia Cotter are executive producers, with Jillian Share and Erica Lee co-producing. The film will be released in 3D.